Anonymous (2000). Climate risk. Farming Ahead with Kondinin Group 105: 28-41. Blad, B.L. (1994). Future directions and needs for academic education in agricultural meteorology. Agricultural and Forest Meteorology 69: 27-32. Bourke, P.M.A. (1968). The aims of agrometeorology. In Agroclimatological Methods—Proceedings of the Reading Symposium (pp. 11-15). Paris: UNESCO. Decker, W.L. (1994). Developments in agricultural meteorology as a guide to its potential for the twenty-first century. Agricultural and Forest Meteorology 69: 9-25. De Pauw, E., Gobel, W., and Adam, H. (2000). Agrometeorological aspects of agriculture and forestry in the arid zones. Agricultural and Forest Meteorology 103: 43-58. Fleming, J. (Ed.) (1996). Historical Essays in Meteorology—1919-1995. Boston, MA: American Meteorological Society. Hatfield, J.L. (1994). Future needs in agricultural meteorology: Basic and applied research. Agricultural and Forest Meteorology 69: 39-45. Hollinger, S.E. (1994). Future directions and needs in agricultural meteorology/climatology and modeling. Agricultural and Forest Meteorology 69: 1-7. Hoogenboom, G. (2000). Contribution of agrometeorology to the simulation of crop production and its applications. Agricultural and Forest Meteorology 103: 137-157. Hoppe, P. (2000). Challenges for biometeorology on the turn of the century. In de Dear, R., Oke, T., Kalma, J., and Auliciems, A. (Eds. ), Biometeorology and Urban Climatology at the Turn of the Millennium (pp. 383-386). Geneva: World Meteorological Organization. Jagtap, S.S. and Chan, A.K. (2000). Agrometeorological aspects of agriculture in the sub-humid and humid zones of Africa and Asia. Agricultural and Forest Meteorology 103: 59-72. Lomas, J., Milford, J.R., and Mukhala, E. (2000). Education and training in agricultural meteorology: Current status and future needs. Agricultural and Forest Meteorology 103: 197-208. Maracchi, G., Perarnaud, V., and Kleschenko, A.D. (2000). Applications of geographical information systems and remote sensing in agrometeorology. Agricultural and Forest Meteorology 103: 119-136. Mavi, H.S. (1994). Introduction to Agrometeorology. New Delhi: Oxford & IBH. Molga, M. (1962). Agricultural Meteorology. Part II—Outline of Agrometeo-rological Problems. Warsaw: Polish Academy of Sciences. Monteith, J.L. (2000). Agricultural meteorology: Evolution and application. Agricultural and Forest Meteorology 103: 5-9. Newman, J.E. (1974). Applying meteorology to agriculture. Agricultural Meteorology 13: 1-3. Ogallo, L.A., Boulahya, M.S., and Keane, T. (2000). Applications of seasonal to interannual climate prediction in agricultural planning and operations. Agricultural and Forest Meteorology 103: 159-166. Olufayo, A.A., Stigter, C.J., and Baldy, C. (1998). On needs and deeds in agro-meteorology in tropical Africa. Agricultural and Forest Meteorology 92: 227240. Overdieck, D. (1997). Statement of the field editor for plants. International Journal of Biometeorology 40: 2. Paw U, K.T. (2000). Recent advances in agricultural, forest and plant biometeorology. In de Dear, R., Oke, T., Kalma, J., and Auliciems, A. (Eds. ), Biometeo-rology and Urban Climatology at the Turn of the Millennium (pp. 217-222). Geneva: World Meteorological Organization. Perry, K.B. (1994). Current and future agricultural meteorology and climatology education needs of the US Extension service. Agricultural and Forest Meteorology 69: 33-38. Plant, S. (2000). The relevance of seasonal climate forecasting to a rural producer. In Hammer, G.L., Nicholls, N., and Mitchell, C. (Eds. ), Applications of Seasonal Climate Forecasting in Agricultural and Natural Ecosystems (pp. 23-28). London: Kluwer Academic Publishers. Rijks, D. and Baradas, M.W. (2000). The clients for agrometeorological information. Agricultural and Forest Meteorology 103: 27-42. Salinger, M.J., Stigter, C.J., and Das, H.P. (2000). Agrometeorological adaptation strategies to increasing climate variability and climate change. Agricultural and Forest Meteorology 103: 167-184. Seeley, M.W. (1994). The future of serving agriculture with weather/climate information and forecasting: Some indication and observation. Agricultural and Forest Meteorology 69: 47-49. Serafin, R.J., Macdonald, A.E., and Gall, R.L. (2002). Transition of weather research to operations: Opportunities and challenges. Bulletin of the American Meteorological Society 83: 377-392. Smith, L.P. (1970). Aims and extent of agricultural meteorology. Agricultural Meteorology 7: 193-196. Stigter, C.J., Sivakumar, M.V.K., and Rijks, D.A. (2000). Agrometeorology in the 21st century: Workshop summary and recommendations on needs and perspectives. Agricultural and Forest Meteorology 103: 209-227. Strand, J.F. (2000). Some agrometeorological aspects of pest and disease management for the 21st century. Agricultural and Forest Meteorology 103: 73-82. Weiss, A., Van Crowder, L., andBernardi, M. (2000). Communicating agrometeor-ological information to farming communities. Agricultural and Forest Meteorology 103: 185-196. White, B. (2000). The importance of climate variability and seasonal forecasting to the Australian economy. In Hammer, G.L., Nicholls, N., and Mitchell, C. (Eds. ), Applications of Seasonal Climate Forecasting in Agricultural and Natural Ecosystems (pp. 1-22). London: Kluwer Academic Publishers. Aikman, D.P. (1989). Potential increase inphotosynthetic efficiency from the redistribution of solar radiation in a crop. Journal of Experimental Botany 40: 855864. Alados, I., Foyo-Moreno, I., Olmo, F.J., Alados-Arboledas, L., and Grupo de Física de la Atmósfera (2002). Improved estimation of diffuse photosynthetically active radiation using two spectral models. Agricultural and Forest Meteorology 111: 1-12. Anisimov, O. and Fukshansky, L. (1997). Optics of vegetation: Implications for the radiation balance and photosynthetic performance. Agricultural and Forest Meteorology 85: 33-49. Arkebauer, T.J., Weiss, A., Sinclair, T.R., and Blum, A. (1994). In defence of radiation use efficiency: A response to Demetriades Shah. (1992). Agricultural and Forest Meteorology 68: 221-227. Barrett, E.C. (1992). Introduction to Environmental Remote Sensing. London: Chapman & Hall. Baumgartner, A. (1973). Estimation of the radiation and thermal micro-environment from meteorological and plant parameters. In Slatyer, R.O. (Ed. ), Plant Response to Climatic Factors. Proceedings of the Uppsala Symposium (pp. 313323). Paris: UNESCO. Berbigier, P. and Hassika, P. (1998). Annual cycle of photosynthetically active radiation in maritime pine forest. Agricultural and Forest Meteorology 90: 157-171. Black, C. and Ong, C. (2000). 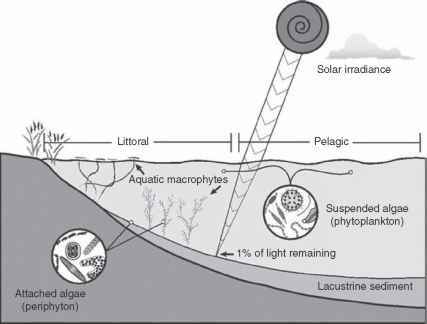 Utilisation of light and water in tropical agriculture. Agricultural and Forest Meteorology 104: 25-47. Boes, E. (1981). Fundamentals of solar radiation. In Krieder, J.F. and Krietb, F. (Eds. ), Solar Energy Hand Book (pp. 2.1-2.76). New York: McGraw-Hill. Bonhomme, R. (2000). Beware of comparing RUE values calculated from PAR vs solar radiation or absorbed vs intercepted radiation. Field Crops Research 68: 247-252. Butler, W.L. and Roberts, J.D. (1966). Light and Plant Development. In Janick, J. (Ed. ), Plant Agriculture; Readings from Scientific American (pp. 78-85). New York: W.H. Freeman & Co.
Caldwell, M.M. (1981). Plant response to solar ultra-violet radiation. In Lange, O.L. (Ed. ), Physiological Plant Ecology I. Response to Physical Environment (pp. 169-198). Berlin: Springer-Verlag. Campbell, C.S., Heilman, J.L., McInnes, K.J., Wilson, L.T., Medley, J.C., Wu, G., and Cobos, D.R. (2001). Seasonal variation in radiation use efficiency of irrigated rice. Agricultural and Forest Meteorology 110: 45-54. Choudhury, B.J. (2000). A sensitivity analysis of the radiation use efficiency for gross photosynthesis and net carbon accumulation by wheat. Agricultural and Forest Meteorology 101: 217-234. Cohen, S., Schaffer, A., Shen, S., Spiegelman, M., Ben-Moshe, Z., Cohen, S., and Sagi, M. (1999). Light distribution and canopy structure in greenhouse musk-melon. In Bar-Yosef, B. and Seginer, I. (Ed. ), Proceedings of the Third International Workshop on Models for Plant Growth and Control of the Shoot and Root Environments in Greenhouses, Bet Dagan, Israel, February 21-25, 1999. Acta Horticulturae 507: 17-24. Corlett, J.E., Black, C.R., Ong, C.K., and Monteith, J.L. (1992). Above and below-ground interactions in a leucaena/mill ley cropping system. 2. Light interception and dry matter production. Agricultural and Forest Meteorology 60: 73-91. Correia, C.M., Coutinho, J.F., Bjorn, L.O., and Torres Pereira, J.M.G. (2000). Ul-traviolet-B radiation and nitrogen effects on growth and yield of maize under Mediterranean field conditions. European Journal of Agronomy 12: 117-125. Courbaud, B., Coligny, F., and Cordonnier, T. (2003). Simulating radiation distribution in a heterogeneous Norway spruce forest on a slope. Agricultural and Forest Meteorology 116: 1-18. Demetriades Shah, T.H., Fuchs, M., Kanemasu, E.T., and Flitcroft, I. D. (1992). A note of caution concerning the relationship between cumulated intercepted solar radiation and crop growth. Agricultural and Forest Meteorology 58: 193-207. Demetriades Shah, T.H., Fuchs, M., Kanemasu, E.T., and Flitcroft, I.D. (1994). Further discussions on the relationship between cumulated intercepted solar radiation and crop growth. Agricultural and Forest Meteorology 68: 231-242. Evans, L.T. (1973). The effect of light on plant growth, development and yield. In Slatyer, R.O. (Ed. ), Plant Response to Climatic Factors. Proceedings of the Uppsala Symposium (pp. 21-31). Paris: UNESCO. Flint, S.D. and Caldwell, M.M. (1998). Solar UV-B and visible radiation in tropical forest gaps: Measurements partitioning direct and diffuse radiation. Global Change Biology 4: 863-870. Goody, R. M. and Yung, Y.L. (1989). Atmospheric Radiation: Theoretical Basis. London: Oxford University Press. Hassika, P. andBerbigier, P. (1998). Annual cycle of photosynthetically active radiation in maritime pine forest. Agricultural and Forest Meteorology 90: 157-171. Herbert, T.U. (1991). Variation in interception of direct solar beam by top canopy layers. Ecology 72: 17-22. Iqbal, M. (1983). An Introduction to Solar Radiation. London: Academic Press. Jin, X., Zhu, J., and Zeiger, E. (2001). The hypocotyl chloroplast plays a role in phototropic bending of Arabidopsis seedlings: Developmental and genetic evidence. Journal of Experimental Botany 52: 91-97. Karsten, U., Bischof, K., Hanelt, D., Tug, H., and Wiencke, C. (1999). The effect of ultraviolet radiation on photosynthesis and ultraviolet-absorbing substances in the endemic artic macroalga Devaleraea ramentacea (Rhodophyta). Physio-logia Plantarium 105: 58-66. Kiehl, J.T. and Trenberth, K.E. (1997). Earth's annual global mean energy budget. Bulletin of the American Meteorological Society 78: 197-208. Kiniry, J.R. (1994). A note of caution concerning the paper by Demetriades Shah. Agricultural and Forest Meteorology 68: 229-230. Koller, D., Ritter, S., and Heller, E. (2001). Light-driven movements of the primary leaves of bean (Phaseolus vulgaris L.): A kinetic analysis. Israel Journal of Plant Sciences 49: 1-7. Kull, O. and Kruijt, B. (1998). Leaf photosynthetic light response: A mechanistic model for scaling photosynthesis to leaves and canopies. Functional Ecology 12: 767-777. Li, S., Kurata, K., andTakakura, T. (1998). Solar radiation enhancement in a lean-to greenhouse by use of reflection. Journal of Agricultural Engineering Research 71: 157-165. Mariscal, M.J., Orgaz, F., and Villalobos, F.J. (2000). Modelling and measurement of radiation interception by olive canopies. Agricultural and Forest Meteorology 100: 183-197. Marques Filho, A. de O. and Dallarosa, R.G. (2000). Interception of solar radiation and spatial distribution of leaf area in "terra firme" forest of the Central Amazonia, Brazil. Acta Amazonica 30: 453-470. Monteith, J.L. (1990). Conservative behavior in the response of crops to water and light. In Rabbinge, R., Goudriaan, J., van Keulen, H., Penning de Vries, F.W.T., and van Laar, H.H. (Eds. ), Theoretical Production Ecology: Reflections and Prospects (pp. 3-16). Wageningen, the Netherlands: PUDOC Scientific Publishers. Monteith, J.L. (1994). Validity of the correlation between intercepted radiation and biomass. Agricultural and Forest Meteorology 68: 213-220. Monteith, J.L. and Elston, J. (1983). Performance and productivity of foliage in the field. In Dale, J.E. and Milthorpe, L. (Eds. ), The Growth and Function of Leaves (pp. 499-518). Cambridge, UK: Cambridge University Press. Olesen, T. (2000). Is there a representative wavelength for photosynthetically active radiation in the terrestrial environment? Austral-Ecology 25: 626-630. Prasad, R. and Sastry, C.V.S. (1994). A study on radiation interception, albedo, net radiation, crop growth and yield in wheat (Triticum aestivum L.). Indian Journal of Ecology 21: 112-116. Predieri, S. and Gatti, E. (2000). Effects of gamma radiation on microcuttings of plum (Prunus salicina). Advances in Horticultural Science 14: 7-11. Roberto, S., Alejandro, S., Ricardo, S., Saldana, F., and Teodoro, G. (1999). Daytime net radiation parameterisation for Mexico City suburban areas. Atmospheric Research 50: 53-58. Rodriguez, L.A., Orozco, V., Velasco, E., Medina, R., Verdecia, J., and Fonseca, I. (1999). Optimum levels of solar radiation and their relation to vegetative growth, leaf development and yield of coffee (Coffea arabica L.). Cultivos Tropicales 20: 45-49. Roujean, J.L. (1999). Measurement of PAR transmittance within boreal forest stands during BOREAS. Agricultural and Forest Meteorology 93: 1-6. Ruppel, N.J., Hangarter, R.P., and Kiss, J.Z. (2001). Red-light-induced positive phototropism in Arabidopsis roots. Planta 212: 424-430. Russell, G., Jarvis, P.G., andMonteith, J.L. (1988). Absorption of radiation by canopies and stand growth. In Russell, G., Marshall, B., and Jarvis, P.G. (Eds. ), Plant Canopies: Their Growth, Form and Function (pp. 21-40). Cambridge, UK: Cambridge University Press. Sabins, F.F. (1997). Remote Sensing: Principles and Interpretations, Third Edition. New York: W.H. Freeman and Company. Salisbury, F.B. (1981). Responses to photoperiod. In Lange, O.L. (Ed. ), Physiological Plant Ecology. 1. Response to Physical Environment (pp. 135-168). Berlin: Springer-Verlag. Sharp, J.L. and Polavarapu, P. (1999). Gamma doses radiation for preventing pupariation and adult emergence of Rhagoletis mendax (Diptera: Tephritidae). Canadian Entomologist 131: 549-555. Skorska, E. (2000). The effect of ultraviolet-B radiation on triticale plants. Folia Universitatis Agriculturae Stetinensis, Agricultura 82: 249-254. Squire, G.R. (1990). The Physiology of Tropical Crop Production. Wallingford, UK: CAB International. Stirling, C.M., Williams, J.H., Black, C.R., andOng, C.K. (1990). Theeffect of timing of shade on development, dry matter production and light use efficiency in groundnut (Arachis hypogaea L.) under field conditions. Australian Journal of Agricultural Research 41: 633-644. Stowe-Evans, E.L., Luesse, D.R., and Liscum, E. (2001). The enhancement of phototropin-induced phototropic curvature in Arabidopsis occurs via a photoreversible phytochrome A-dependent modulation of auxin responsiveness. Plant Physiology 126: 826-834. Sumit,M. and Kler,D.S. (2000). Solar radiation anditsuse efficiency in maize (Zea mays L.) canopy: A review. Environment and Ecology 18: 597-615. Takaichi, M., Shimaji, H., Higashide, T., and Bodson, M. (2000). Effect of red/far-red photon flux ratio of solar radiation on growth of fruit vegetable seedlings. In Verhoyen, M.N.J. (Ed. ), Proceedings of the XXV International Horticultural Congress. Part 4. Culture Techniques with Special Emphasis on Environmental Implications: Chemical, Physical and Biological Means of Regulating Crop Growth in Vegetables and Fruits, Brussels, Belgium, August 2-7, 1998. Acta Horticulturae 514: 147-156. Thornley, J.H.M., Hand, D.W., and Wilson, J.W. (1992). Modelling light absorption and canopy net photosynthesis of glasshouse row crops and application to cucumber. Journal of Experimental Botany 43: 383-391. Udo, S.O. and Aro, T.O. (1999). Global PAR related to solar radiation for central Nigeria. Agricultural and Forest Meteorology 97: 21-31. Vijaya Kumar, P., Srivastava, N.N., Victor, U.S., Gangadhar Rao, D., Subba Rao, A.V.M., Ramakrishna, Y.S., andRamana Rao, B.V. (1996). Radiation and water use efficiencies of rainfed castor beans (Ricinus communis L.) in relation to different weather parameters. Agricultural and Forest Meteorology 81: 241-253. Vorasoot, N., Tienroj, U., and Apinakapong, K. (1996). Effects of leaf angle and leaf area index on utilization of solar radiation of two soybean cultivars grown under different water regimes. Kaen Kaset Khon Kaen Agriculture Journal 24: 158-164.